archelios™ O&M is the monitoring software for PV installations. It brings all the benefits of a PVBIM mock-up design to advance photovoltaic Operation and Maintenance. PVBIM is the Building Information Modelling (BIM) concept applied to Photovoltaics. Here are 5 reasons why archelios™ O&M deserves a closer look. · 3D mock-ups along with physical and electrical characteristics. · Collaboration with BIM&CO, the newest collaborative platform where all digital modeling players can create, publish, contribute and use BIM objects – PV modules mock-ups are stored in BIM&CO. – Allow saving significant time editing and avoid errors. · Easy-to-use 2D/3D Viewer/editor providing exceptional interactivity. · No need for any re-entering or recapturing data, changes are propagated as necessary. The growth of the PV industry depends on a strong relationship between software and engineering innovations that go together, that´s why we constantly drive forward software solutions for industry. Get registered for the WEBINAR of tomorrow 31st of May 2018. Trace Software International, the leading company in the creation of design software solutions for the electrical engineering for 30 years, is thrilled to announce that it will exhibit at Batimat, in Paris from 6th to the 10th November 2017. Trace Software International has chosen Batimat – the building industry’s leading international trade show which presents economic opportunities of building and architectural projects in promising markets – to showcase its cutting-edge construction software solutions: elec calc™ BIM and archelios™ O&M for the buildings of today and tomorrow. The company views this event as an outstanding opportunity to show the stakeholders its winning software solutions able to respond to the challenging demands of the building industry. Trace Software International will participate to the exhibition together with its avant-garde partner BIM&CO – The BIM Contents Company, free and cloud based, highly social and collaborative. This is the professional community where the users can publish quality objects and manufactures can publish construction product data, making BIM&CO a unique source for all BIM objects and data, for digital mock-up projects. Both key players will be welcoming you at booth R123- Hall 5A during all the fair event. elec calc BIM stands out as the exclusive electrical design solution satisfying the upcoming BIM challenges. This is the world’s first and only calculating software that seamlessly integrates elec calc™ – the electrical tool used in the calculation and sizing of projects – with different design platforms enabling the importation of the digital model in IFC 4 format, generated by any 3D architectural software’s (Revit, Archicad…). Several simulations can be done to compare the possible routing scenarios. The 3D model allows the detection of any conflicts. If this is case, the information is directly sent to the designer thanks to the BIM Collaboration Format (BCF) so he can fix the problem and correct his model. These two unique features make elec calc™ BIM as the next step to fully integrate your electrical data into the BIM process. elec calc™ BIM brings together the synergies and interoperability aimed to improve the design, reliability and safety, not forgetting the quality of the project along with the overall management of the construction. Electrical engineers can complete all aspects of electrical design through this tool. Thanks to the partnership with the avant-garde BIM&CO , the elec calc™ BIM user gains access to all the information and data regarding the BIM objects, amongst other benefits. This is the latest addition to the archelios™ suite, the essential 360º solution you need to manage an entire photovoltaic project. From the feasibility, profitability study, simulation and calculation of the project, to the electrical sizing, this all-in-one software solution is intended for PV installations of all types: on roofs, plants, linked to the network and on isolated sites, in self-subsistence with or without energy storage. archelios™ suite is composed by a portfolio of software solutions able to satisfy a wide array of expected needs in the photovoltaic project, reaching high levels of impeccable quality and great interactivity to gain in terms of control and productivity. archelios™ O&M shows a unique approach on BIM for PV. This software brings all the benefits of PVBIM mock-up design to advanced PV monitoring. 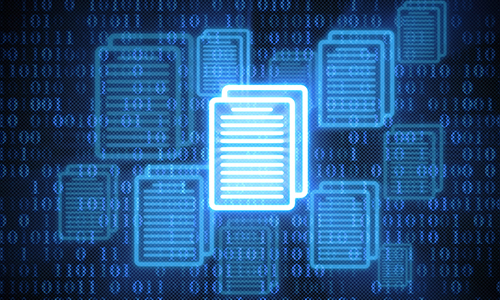 Any data is internally and automatically attached to devices of a full 3D and electrical system description. Links are therefore exhaustive and error free. Default 2 screens application always showing 2D or 3D view with permanent dynamic links between displayed data and plant structure. Viewing production data in the map of the plant. Thanks to the PV BIM, all data is referenced to BIM and users can import and access any document from any representation of the plant including 3D view. 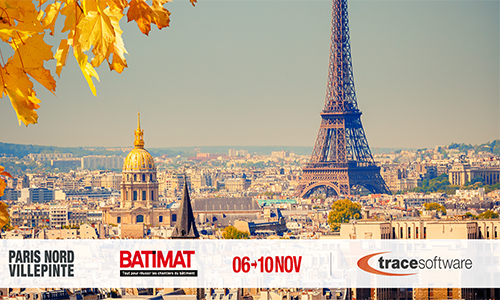 Batimat will take place in Paris from 6 – 10 November 2017. With almost 2,400 French and international exhibitors and over 340,000 visitors expected, Batimat positions itself as the world’s leading building and architecture exhibition, promoting synergies across all trades and spearheading innovation. The event represents the place to be for promoting and exclusively unveiling innovations to specialist decision-makers from French and international markets who will take part to the fair trade to choose partners and to seek products & service solutions for current and future building projects. Trace Software International and BIM&CO are looking forward to welcoming you at R123- Hall 5A during all the fair-trade event. Trace Software International, leading company in the creation of design software solutions for the electrical engineering for 30 years, is thrilled to announce that it will exhibit at the Digital&BIMItalia in Bologna, on the 19th and 20th October 2017. Digital&BIMItalia is the unmissable “Digital innovation and re-shaping of the Built Environment” event as it represents the first and only Italian exhibition dedicated exclusively to the transformation of the construction sector through digitalization, technologies and innovation. This two days of in-depth exhibition is aimed to provide a professional overview of the new protocols and tools linked to BIM and to reflect about the future of the building industry, but this not all. In fact, there will be also an experimentation area for practical training, which will allow visitors to practically learn more of this leading-edge transformation in the industry. Trace Software International will also introduce his partner BIM&CO– the professional community where the users can publish quality objects and manufactures can publish construction product data, making the platform a unique source for all BIM objects and data used in the digital mock-up of projects. The avant- guarde BIM&CO has been successfully selected as a finalist in the BIM Digital Award of the event. Trace Software International will be welcoming you at C32, Hall 33 during all the trade show event. The sizing of your electrical installation, inclusive of its HV part, no more requires external resources, which often means high indirect costs: elec calc™ offers the opportunity to design HV and LV installations in the same project. Trace Software International’ s elec calc™ is for the calculation of Low Voltage and High Voltage electrical installation, calculation in real time, complying with various international standards. elec calc™ BIM stands out as the exclusive electrical design solution satisfying the upcoming BIM challenges. This is the world’s first and only calculating software that seamlessly integrates elec calc™- the electrical tool used in the electrical sizing of projects – with different design platforms enabling the importation of the digital model in ICF4 format, generated by any 3D architectural software’s (Revit, Archicad…). Several simulations can be done to compare the possible routing scenarios. The 3D model allows the detection of any conflicts. If this is case, the information is directly sent to the designer thanks to the BIM Collaboration Format (BCF) so he can fix the problem and correct his model. elec calc™ BIM foments synergies and interoperability aimed to improve the design reliability and safety, the quality of the project and the overall management of the construction. Thanks to the partnership with the avant-garde BIM&CO , elec calc™ BIM user gains access to all the information and data regarding the BIM objects, amongst other benefits. 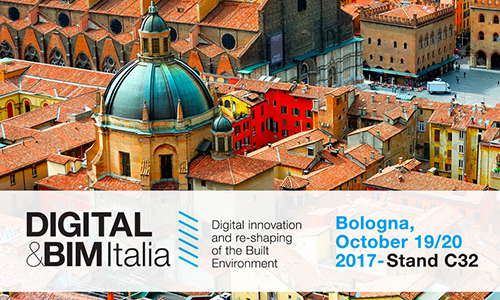 Bologna Fiere, in line with a commitment that has existed for over 50 years with SAIE, has launched DIGITAL&BIM Italia, the first national event for the digitalization of the Built Environment, scheduled for 19 – 20 October at the exhibition center. This is the only event in Italy highlighting the revolution of the construction industry which future is closely linked to the digital transformation and Building Information Modelling (BIM). Trace Software International will be welcoming you at booth C32, Hall 33 during all the trade show event, together with BIM&CO and Trace Parts, the online media company offering progressive business solutions through powerful web based products and services. With 30 years of experience, Trace Software International is a company specialized in the development of software solutions and services dedicated to the industrial engineering, with a unique expertise in the design of electrical installations. With a double expertise, both technological and engineering-focused, TSI not only satisfies their clients’ needs but also design innovative solutions able to disrupt old habits and providing decisive advantages in terms of safety and profitability. Trace Software International has subsidiaries in France, Spain and Morocco in addition to a worldwide presence via distributors and authorized partners. elec calc™ BIM is a module that integrates calculation software in BIM with the following iterative processes: Facilitating the flow between a 3D model and the electrical sizing and calculation that all meet the IFC format. Many smart design features, including Intellisense, enable the one-line diagram to be drawn very quickly and intuitively. Components can be customized according to the project. Automatic and manual routing of the cable pathways. Electrical installation sizing according to the standards. Encapsulating elec calc™ software solution which provides the latest calculation software engineers, installers, developers, energy producers/distributors and manufacturers with a powerful tool for sizing electrical installations. Importation of the digital model in ICF4 format, generated by different 3D architectural software’s (Revit, Archicad…). Flexible sizing of cables according to the lengths in the 3D model. Manufacturers and user catalogs according to BIM Metadata. Graphical interface is configurable and available in several languages. 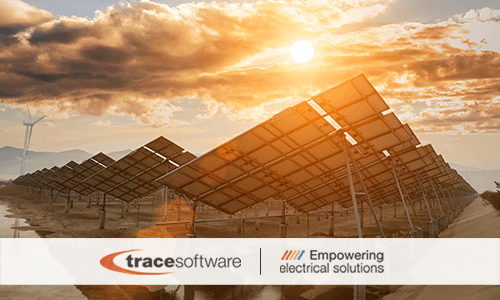 Within the field of design and calculation, Trace Software helps ensure the rapid development of your projects and high quality electrical calculations which are essential in today’s marketplace. This combined with BIM integration, will deliver a powerful solution for your design needs. Our partner BIM&CO can also provide the user with all the detailed information about the components used. Several simulations can be done to compare the possible routing scenarios. The 3D model allows to detect if there is any conflict. If this case, the information is directly sent to the designer thanks to the BIM Collaboration Format (BCF) so he can fix the problem and correct his model. Finally, all the calculated data and added properties are included in the main digital model, in addition to all the calculation notes and data regarding the one-line diagram.